Ignoring Brazil’s sheer size, (area of 8,515,770 sq km) may be a mistake not only for reasons related with logistics and delivery systems, but also for the risk of not acknowledging different consumer’s profiles. In a ludic exercise, measuring other countries by its extension, Brazil could hold more than 26 countries inside its borders. This is an important fact that every international merchant must keep in mind. If consumers present different preferences in Portugal and Spain (countries that share borders), why would it be any different with Brazilian buyers in different states? These consumer’s patterns of behavior when shopping will change dramatically as they buy far from big cities. Not only will products or services differ, but also the way they buy: via traditional physical (bricks-and-mortar) stores or via online platforms. A recent report published by the Brazilian Central Bank (BACEN) states that 96% of consumers use cash to pay for local purchases. This is also the case in the Brazilian Midwest, where people choose cash payments (69.2%) as their preferred option. This data may come as a shock to online international merchants, but the truth is that local credit cards and boletos (bank payment slips) are boosting e-commerce sales. Even if the Central Bank has concluded that cash is the main payment method for traditional commerce, this doesn’t mean that people are not buying online. Brazilian consumers just prefer to use local credit cards (64% in 2017), boletos (20% in 2017) and other local options to buy online. Spreading the payment in monthly instalments is also very popular among online consumers, being used in 50.2% of e-commerce sales made in 2017. That same year, 18% of purchases were paid for in 2 or 3 instalments, and 31.5% had payment spread over 4 to 12 monthly instalments. 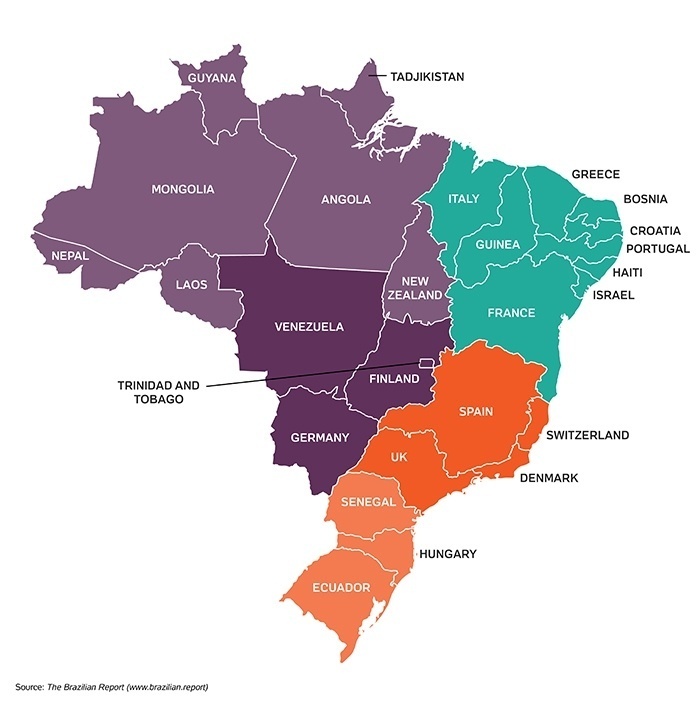 Merchants interested in taking advantage of these instalment plans should take into consideration that only 22% of credit cards in Brazil are able to handle international transactions (according to BoaCompra’s estimates). Finally, as stated by Webshoppers 2018, it’s important to note that most of these digital customers are located in the southeastern part of the country (61.2%). Brazil is the fourth largest Internet market globally. Some 70.7% of the population has internet access, which represents 149 million people. It is clearly an interesting percentage for e-commerce websites to take into account, as the total population is 209.3 million habitants. This potential market already has 55.2 million active online consumers buying on national and international websites. The turning point for any international merchant is understanding the specificities of each region that they target, adapting marketing campaigns and offering different options of payment. The good news is that payment providers such as BoaCompra can offer a diverse range of solutions for international platforms interested in expanding their business to Brazil and other Latin American countries. With one single integration that covers over 10 countries with more than 140 payment options, BoaCompra allows your e-commerce site to accept payments in Brazil from different categories such as local credit cards, boleto bancário, bank transfers and e-wallets. By integrating all these different types of payments your business will be able to tap into the full potential of the Brazilian market, catering to all the regional preferences.